The Jabra Elite Active 65t are the company’s newest truly wireless earbuds. Released in late May 2018, the new earbuds are a great addition to workouts, delivering high quality sound and sweat resistance. What makes the Jabra Elite Active 65t stand out from others is refined design, slightly more battery life, Bluetooth 5.0 technology, and support for Amazon Alexa, which will be available soon. It has better buttons and the dust and water resistant rating is slightly lower. They have an integrated motion sensor that adds more tracking features. Essentially, the Jabra Elite Active 65t are more sports-focused versions of their predecessors. CNET ratings earned it an 8.2/10 and a statement saying they’re better than Apple’s AirPods in some ways. 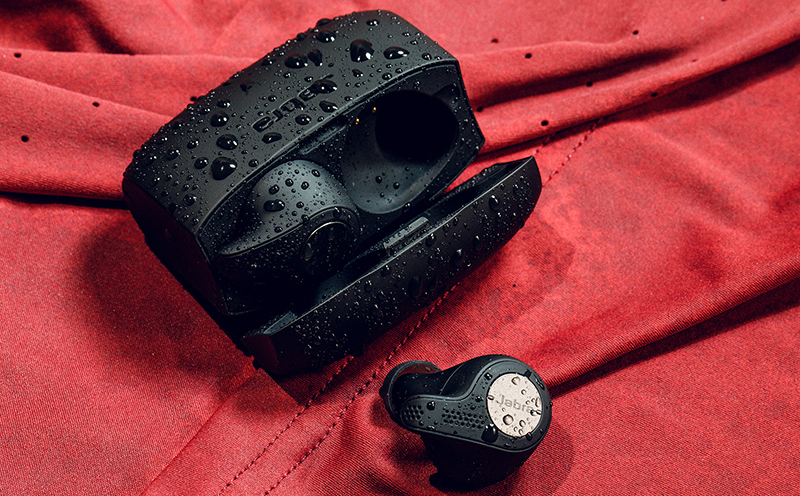 A non-slip membrane coating keeps the Jabra Elite Active 65t in ears at all times. The built-in accelerometer transmits data to the new Jabra Sound+ companion app to track steps and cadence. The earbuds fit more snugly to seal off the outside noise, delivering sound that is richer than the Elite Sport. The seal removes ambient noise and enhances the experience over others like the open Apple Airpods. The tones are balanced, with full bass and clear vocals. The earbuds pause music when one of them is pulled out of an ear, and play when it’s put back in – a very welcome and convenient addition. Built for active lifestyles, Jabra Elite Active 65t features an IP56 rating, with 2-year warranty against sweat and dust. Wherever your day takes you, and whatever your activity, it won’t get in the way of enjoying sports, music and calls. Jabra Elite Active 65t are the best all-around wireless earbuds out there. They’re priced at $190 USD, and come in Titanium Black, Copper Red, and Copper Blue.